https://commons.wikimedia.org/wiki/File:Anthony_Bourdain_(14471302619).jpg, opens a new windowopens a new window by Peabody Awards, opens a new windowopens a new window Anthony Bourdain during the Peabody interview for "Parts Unknown". The world was shocked by the passing of Anthony Bourdain last week. Anthony Michael Bourdain was a celebrity chef, author, travel documentarian, and television personality who starred in programs focusing on the exploration of international culture, cuisine, and the human condition. I read his book, Kitchen Confidential several years ago and it brought back many fun memories of working in the food service industry. I just started watching his series, Parts Unknownopens a new window on Netflix. He is an incredible storyteller. He connects with all different people and cultures through food. He says, "if you sit down with people and enjoy a meal you can connect on a different level," I agree. Visit the world of Anthony Bourdain through his books and DVD series. Here are a few. Remember there is always someone to talk to. 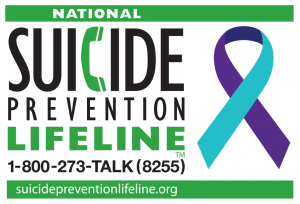 If you’re thinking about suicide, are worried about a friend or loved one, or would like emotional support, the National Suicide Prevention Lifeline is available. What are some of your favorite Anthony Bourdain books, documentaries, or recipes? Share in the comments below.